These fairy lights add a unique and funky look. 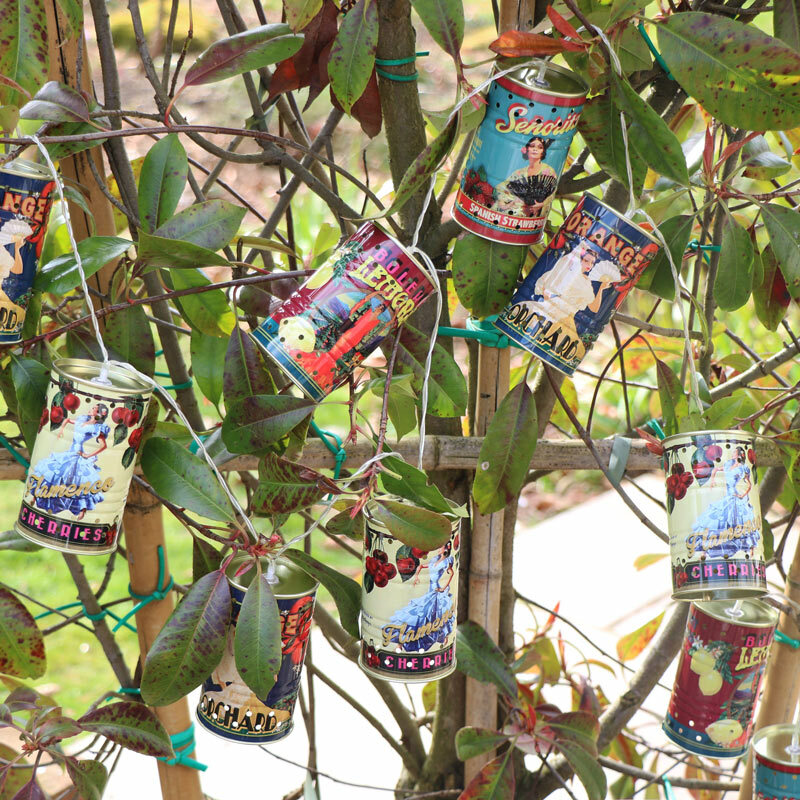 Ten tin cans with a summer vibe on a string, perfect for adding a vintage retro feel to a room. A great fun gift idea. Add some fun with these string fairy lights. Fun and quirky that are different from the usual fairy lights. 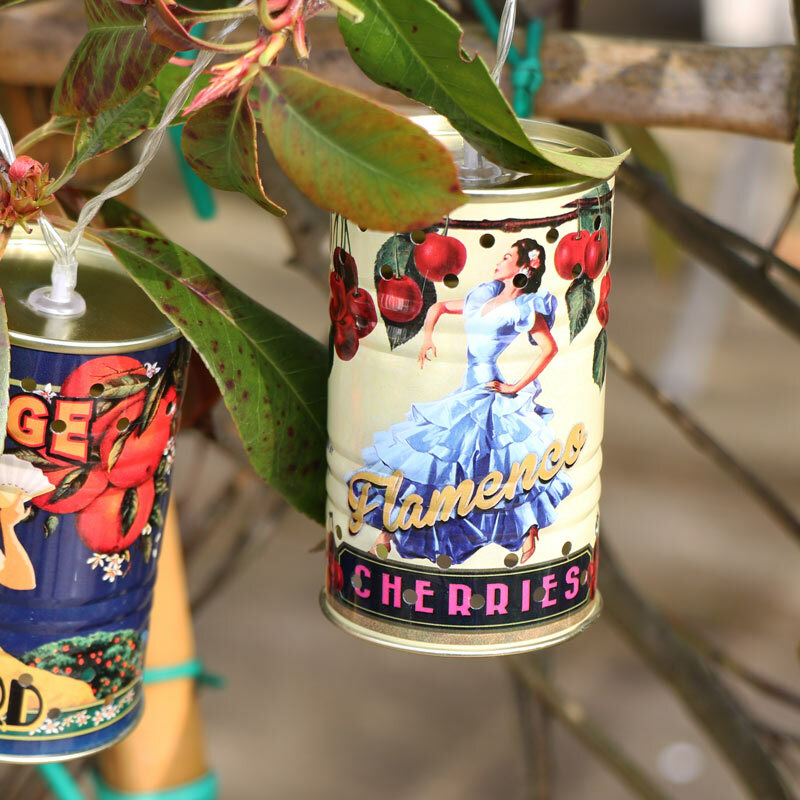 Ten mini tins decorated with a sunshine, summer theme of fruit and flamenco dancers. These fairy lights add a unique and funky look. 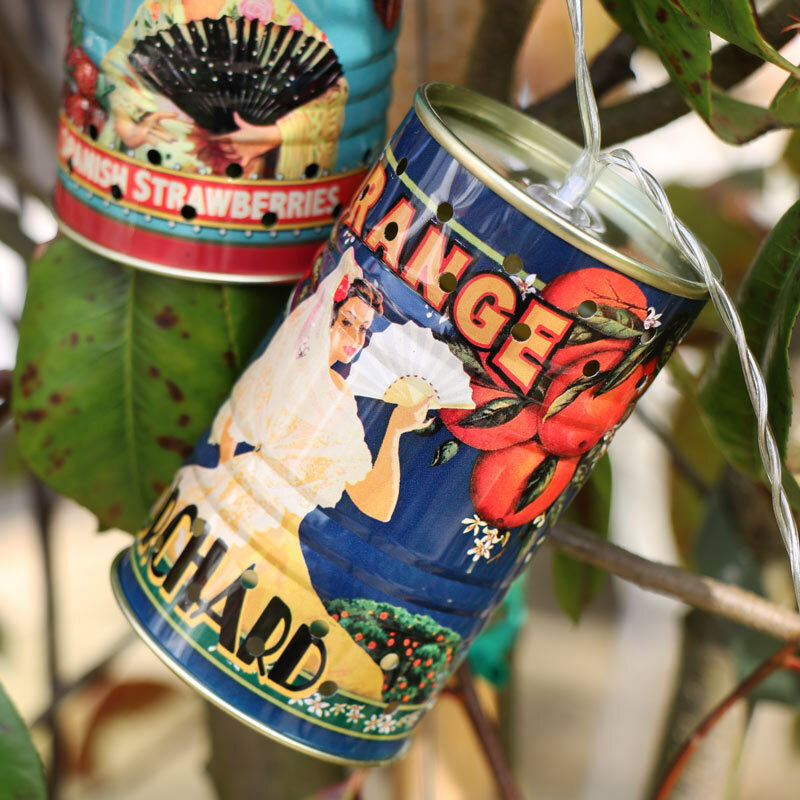 Ten tin cans with a summer vibe on a string, perfect for adding a vintage retro feel to a room. A great fun gift idea. Add some fun with these string fairy lights. Fun and quirky that are different from the usual fairy lights. Ten mini tins decorated with a sunshine, summer theme of fruit and flamenco dancers. 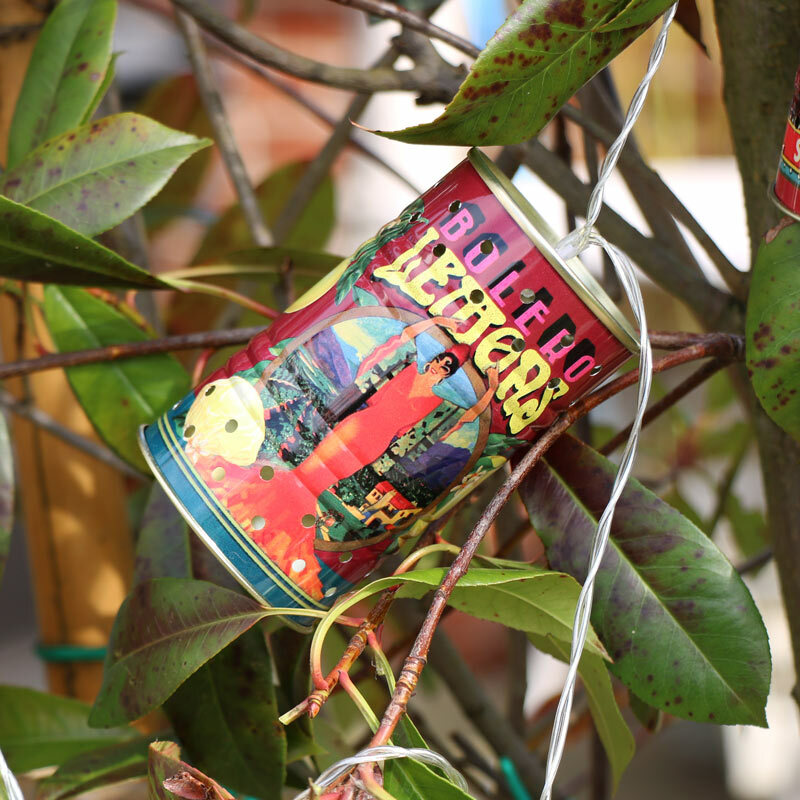 With ten tin cans painted in multi colours, each with an LED bulb. Takes x2 AA batteries (not included).